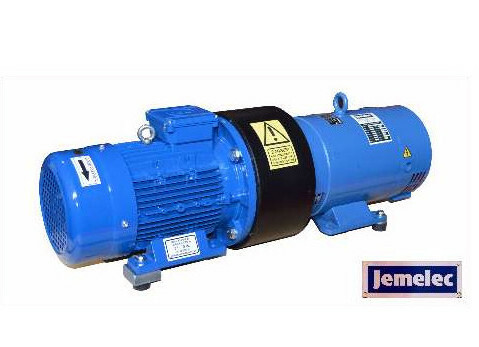 Jemelec manufactures a range of portable generator training sets, based on their small motor-generator sets, for use in colleges and training centres. 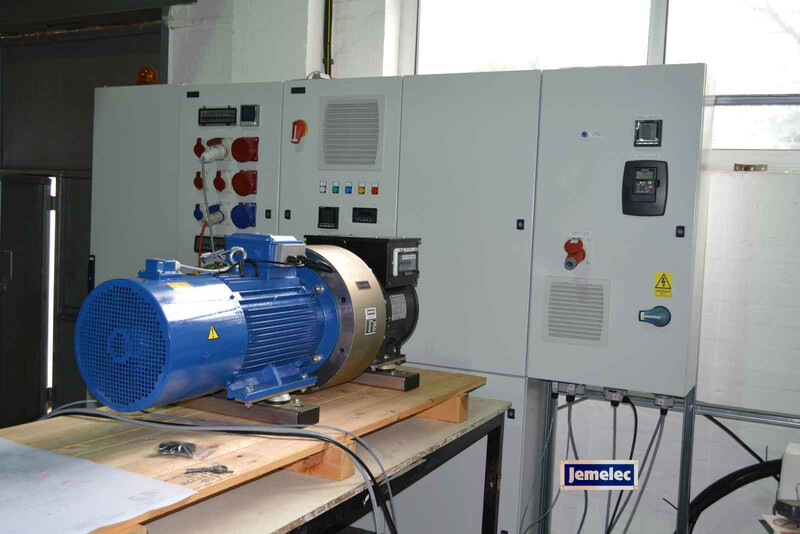 Engineers and technicians can be safely trained on Jemelec training sets to operate and synchronise generator sets with each other and the grid. As these sets include a small motor-generator, the risks associated with mal-synchronising a large set to an infinite bus are largely eliminated and trainees can confidently learn how to safely bring a generator on-line. Each set includes a 6 kVA or larger motor-generator to emulate the steam or gas-turbine driven alternator found in most power stations or co-generation facilities. 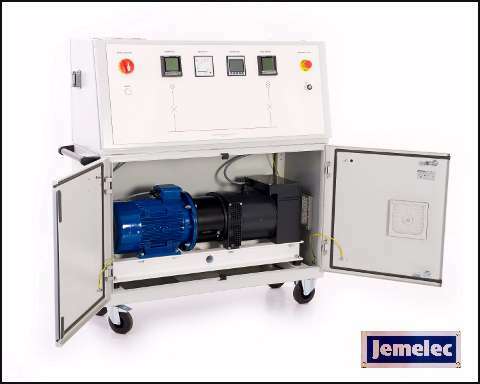 Jemelec generator training sets are designed to work in conjunction with the popular rack-mounted AVRs used on turbo-alternators, such as the Brush and Basler units. A 400 or 480 Hz PMG is provided on the main generator to supply the AVR in the normal manner. Support for most AVRs is possible and can be arranged through working closely with the client. Super-silent running enables use in classrooms or lecture theatres. 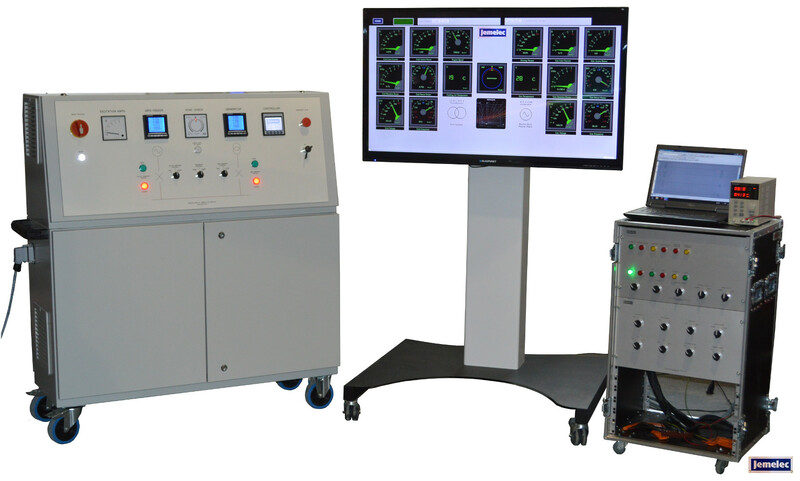 Other generator training sets are available and can be tailored to meet clients' exact requirements, including larger generators and more advanced controls, analogue instrument panels, etc. 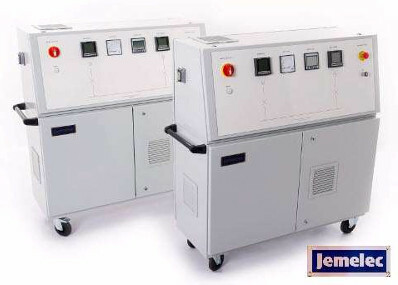 All Jemelec generator training sets are fully compatible with Manda, Jemelec's remote metering software, so can be used with large LCD or plasma screens and digital projectors. Visit our dedicated metering software site at www.manda.site for more information or see images in the slide show on this page. Enclosed generator training set with integral controls and instrumentation housed in a single acoustic enclosure. The motor-generator set can be purchased separately for integration into the client's own system. A generator training suite manufactured for a university in the UAE. The motor is fitted with a shaft encoder and forced ventilation unit. It also has a 3 phase sensing AVR mounted in the control panel. DC machines training set for technical colleges and training centres. The d.c. generator is drvein by a speed controlled a.c. motor and can be excited and controlled via any suitable d.c. supply connected to it's field. 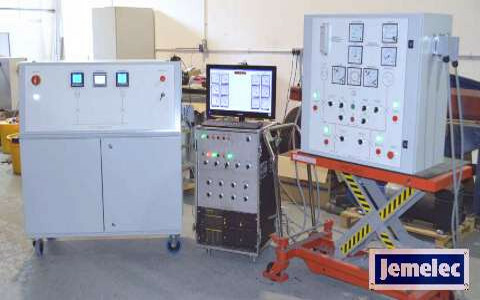 Generator training suite with acoustic enclosed motor-generator complete with digital instrumentation, synchroscope and switchgear to operate in parallel with the grid. Optional AVR rack and 50 inch mobile monitor for virtual instrumentation via Jemelec's Manda software.